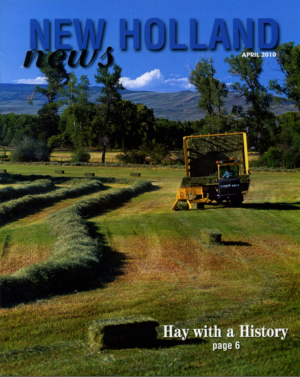 New Holland, Esty Ranch’s preferred supplier of equipment for harvesting our high-quality Timothy grass hay, featured an interesting article about Esty Ranch in their monthly newsletter. The article offers a good overview of the history of Esty Ranch and how we harvest our hay. Historic Esty Ranch was established in the 1870s by John B. Outcalt, one of the original founders of the town of Gunnison. The ranch has operated continuously from that time. In recent years it was purchased by Mike Clarke, who updated the ranch and it’s equipment and restored the historic buildings.